Why Choose a Cleanwater Filter? 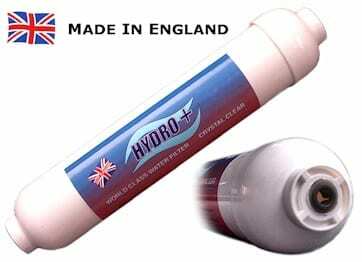 Home / Our Drinking Water / Why Choose a Cleanwater Filter? There are several benefits of a Cleanwater filter installed in your home and the use of water filters is on the rise. The number of synthetic chemicals used in our society keeps increasing, and trace amounts of many of these chemicals are ending up in our drinking water because water treatment facilities don’t have the capability to remove them. So far, over 2,000 chemicals have been detected in water systems. Bottled water is not the solution to the problem of contaminated drinking water. There are no government standards that require bottled water to be any better, purer or safer than tap water. Companies that sell bottled water do not have to divulge to consumers the water’s source, how the water has been purified, and what chemical pollutants the water may contain. Bottled water companies are also not required to demonstrate their water’s quality. A water filter is the only way to ensure that your drinking water is contaminant free. The home water filtration industry is heavily regulated, and companies that manufacture and sell water filtration products must supply documentation that lists which contaminants a product is certified to remove and to what degree. The contaminants in tap water often give it a bad taste. When these contaminants are filtered out, you’re left with clean, healthy water that tastes great. 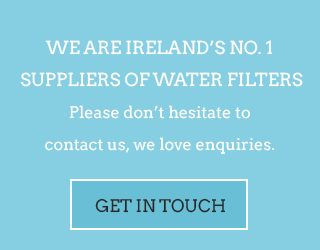 Bottled water can cost up to €2 a bottle, while our water filter provides you with an unlimited supply of healthy water at a cost of only €48 per year for a filter change. With bottled water, you have to deal with the inconvenience of having to bring it home from the shops. A water filter provides you with clean, healthy water right from your kitchen sink. A water filter is virtually pollution free, while bottled water is terrible for the environment. Large amounts of fossil fuel are used each year to produce and transport bottled water, and it takes three times the amount of water to produce the bottle as it does to fill it. Also, the majority of plastic water bottles used in the U.S. end up in landfills. Now that you’re aware of the benefits of water filters, you should strongly consider investing in one. A water filter is a convenient, economical and environmentally friendly way of getting clean, healthy, great tasting water. If you are considering using a water filter, our Doulton Undersink system is a product you should take a look at. Doulton is an industry leader in water filtration products and its ceramic water filter is the best you can buy.